Cayde-6 returns with a digital comic chock-full of Destiny lore to pore over. If you were mourning the loss of Cayde-6 as an ardent Destiny fan, you'll be excited to know that the character has been revived for a new comic from Bungie. Destiny 2 lorehounds will want to check out the comic, hosted on Bungie's official website, where a new adventure starring everyone's favorite Destiny character, Cayde-6 himself, illustrates a tale about the robot and his friends. The story, ingeniously titled Cayde's Six, follows the hero explaining how a bounty hunting job ended up going south. The multifaceted tale recounts what happened during the bounty hunt, as they lost sight of their prey. However, if you pay attention closely, you might uncover additional aspects of the story that come to light as it wears on. Destiny characters like Nadiya, Petra Venj, Hawthorne, Banshee-44, and Jin are along for the ride in the comic, as well as Araskes, the Trickster, a Baron of the Scorn who is at least partially responsible for taking Cayde-6's life in the Forsaken expansion. 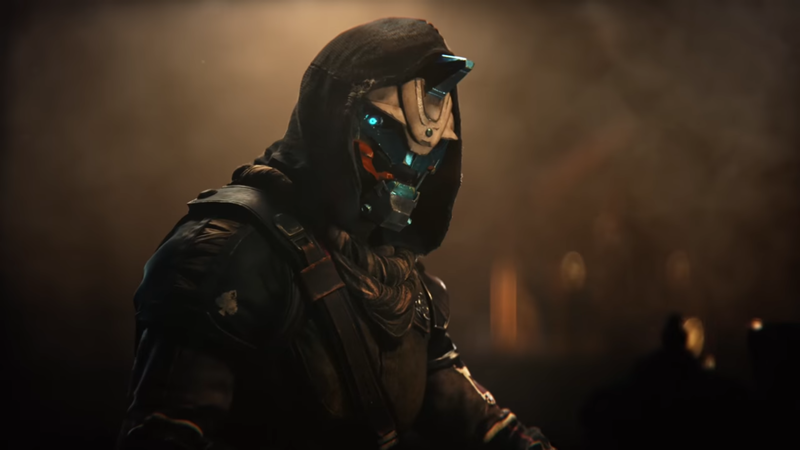 Of course, despite the fact that fans made a makeshift memorial for Cayde-6 and Bungie insists that the character is dead, we just don't want to let him go. And in the true spirit of killing off characters that fans love for terrible reasons, we think he'll probably spring back to life in the near future. We can't be sure of course, but it's just a gut feeling. In the meantime, be sure to check out the new comic to reminisce about the good old days with Cayde himself.